Save Up to 50% on the cost of your business printer ink Manchester costs by using ink and toner printer cartridge refills from Cartridge Care Manchester – 0161 738 1465. 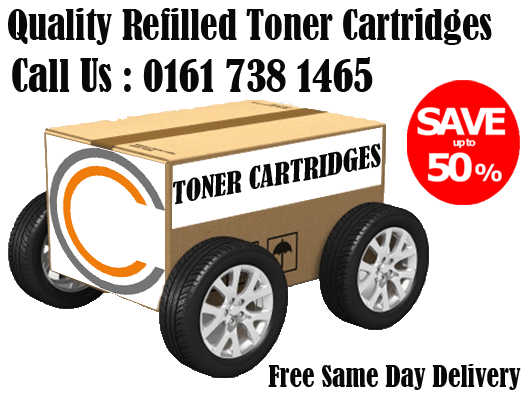 Cartridge Care Manchester are suppliers of high quality, low cost inkjet and laser printer cartridges. We provide a huge range of Printer Cartridges, Toner Cartridges & Ink Cartridges In Manchester with huge savings compared to the leading manufacturer printer cartridges without compromising on quality. At Cartridge Care Manchester, we deal with every major brand of printer cartridge and we’re so confident your Cartridge Care printer cartridges will be as good as the original manufacturers’ that we offer a 100% money back guarantee if you aren’t completely satisfied. 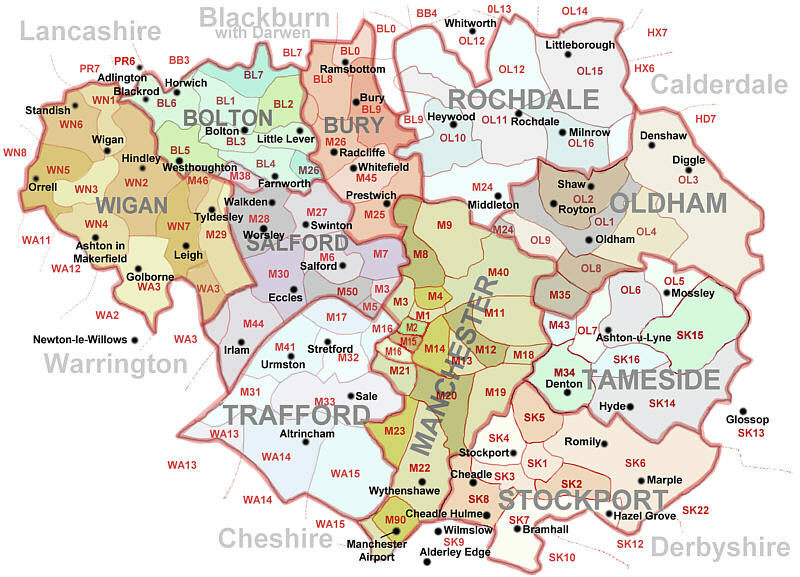 Refilled Toner cartridges Manchester. Cartridge Care – We can deliver your printer ink cartridges Manchester, toner cartridges Manchester, ink cartridges Manchester, compatible printer cartridges in Manchester – Free delivery to businesses and households In Salford, Bolton, Stockport, Manchester, Radcliffe, Tottington, Ainsworth, Prestwich, Cheetham Hill, Trafford Park, Whitefield, Bury, Farnworth, Bolton, Swinton, Heywood, Oldham, Audenshaw. Cheap Ink Cartridges Manchester Cartridge Care are the premier local shop for cheap ink printer cartridges in the Greater Manchester. All our printer ink cartridges are 100% guaranteed for quality and compatibility with your inkjet printer. All our low prices include VAT and we offer free delivery. We only sell premium quality compatible ink cartridges that have been certified as 100% compatible with your printer before they leave the workshop. We only ever stock a line of printer cartridges that we would use ourselves either at home or in our offices. In fact, we are so confident that our cheap ink cartridges will more than meet your requirements that we have covered every single ink cartridge for sale with a no quibble money back guarantee. Buy from Cartridge Care Printer Ink Manchester is safe and easy. Our range of printer cartridges is all encompassing with ink cartridges available for just about every popular brand of printer on the market today. Cartridge Care Manchester offers FREE delivery of printer cartridges to any business or household in Greater Manchester for purchases exceeding £20. Whether it’s a Laser Printer Toner Cartridge or a few inkjet printer cartridges Manchester or compatible ink cartridges Manchester, printer cartridges Manchester from Epson ink cartridge, HP, Brother, Canon, Dell, Kyocera, Lexmark, Samsung we can usually deliver these to you on the same day you order if you order before 12 midday and subject to stock. If it is after 12 most times we can deliver next day. We use a professional local courier service.